This Is What We Call The Muppet Cosplay Show! For such a big series, not many people ever cosplay as the Muppets. But that's OK. Brady Gage and his buddies are proving once again that quality trumps quantity. We've actually seen the work of Brady and his group - the Portland Superheroes Coalition - before, but that was just a couple of suits. 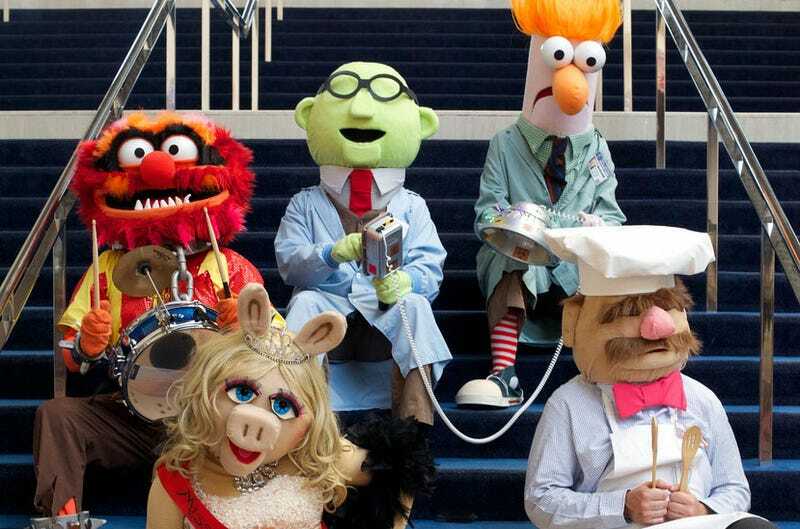 They've since gone all-out, adding Swedish Chef, Animal and Miss Piggy to their cast of Muppet cosplayers. "Each one is built using a grid over actual Muppet photos for enlarging to human size in order to maintain ratio and proportion", Brady tells us. "Muppets are pretty basic shapes, but they are so engrained into our minds that if something is off, they just don't look right." "Each takes between 3-12 days to build, and at least 5 more are planned including Gonzo, Kermit, and other members of The Mayhem Band who actually are musicians and can play their associates instrument like Animal already can"